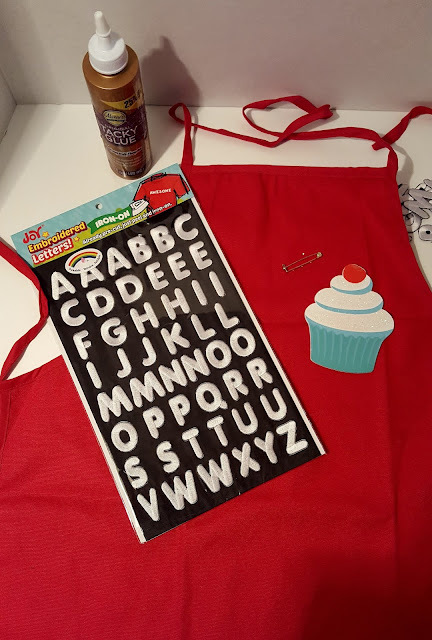 Creating with Joy: This Valentine's apron will bring Joy! Who doesn't want a little sugar around Valentine's Day? 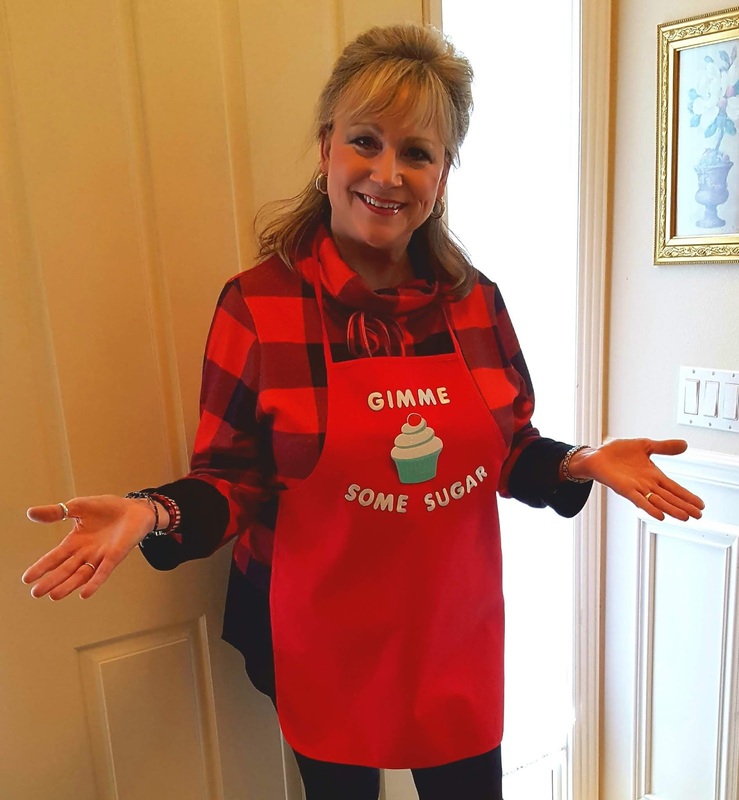 Whether you are a chocoholic or just need a kiss and a squeeze, this easy DIY apron will bring some smiles to your friends and loved ones. 1. Press the apron to remove any wrinkles. Lay out the letters in formation desired prior to applying heat. 2. Following manufacturer's directions on the back of the packaging, cover letters with the pressing cloth then press in place. Turn the apron over and press once more on the back to ensure adhesion. 3. 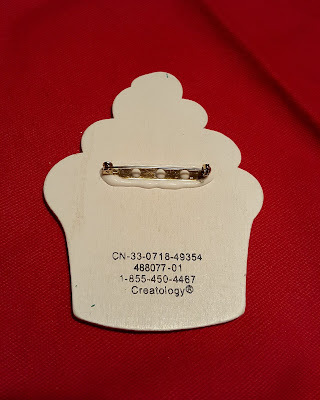 Glue the pin back to the back of the cupcake. Let dry thoroughly then pin the cupcake to the apron as shown. 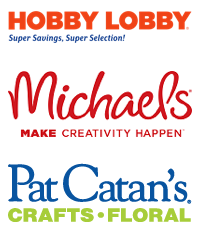 Designer tip: There are many pre-painted wooden cut-outs to choose from. 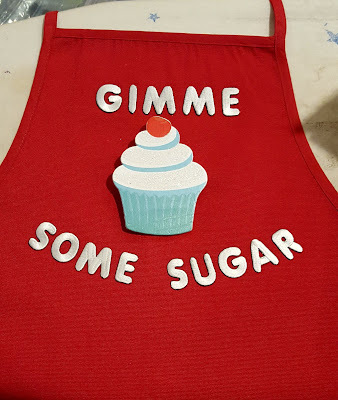 Pick your favorite to embellish an apron with your favorite saying!